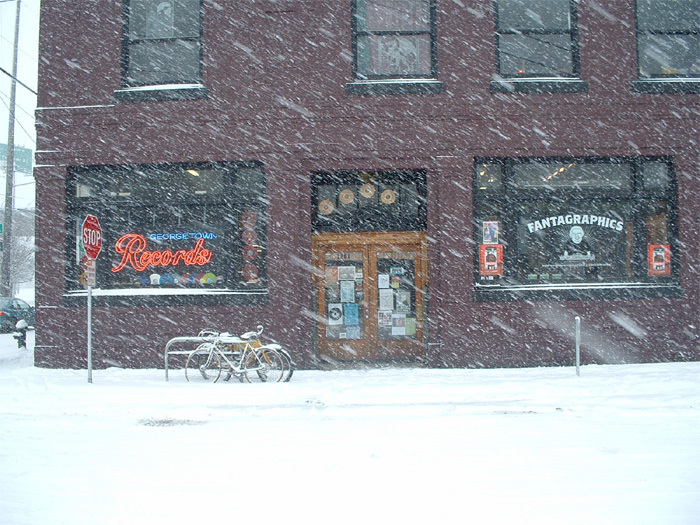 "Georgetown Records was founded as an independent neighborhood record store in 2004. Besides selling records we host live music, book signings, and art events in conjunction with our neighbors and comrades at Fantagraphics Books. Of course our focus is primarily on used vinyl; the selection varies weekly and is inclusive of all styles of music. Our interests range from Punk and Garage rock to Middle Eastern music and everything in between. Country, Jazz, Progressive, Classic rock, are all well represented in our bins. We Love Music!" Georgetown Records wants your records! We buy records on Saturdays, 12-5. We do buy during the week but please call ahead (206 762-5638) to make sure the Buyer is in. If for some reason you can't make it during those times you may leave your collections (phone ahead!) and we will get back to you in 2 business days with an answer. 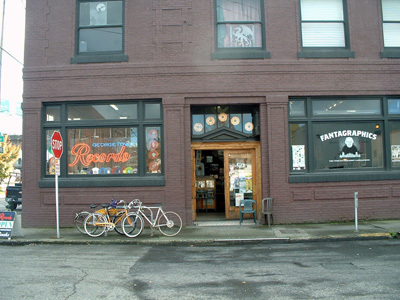 Georgetown Records will make house calls for your large collections. Please call on Saturday to make arrangements. Georgetown Records does do trades. We do not trade out top dollar titles for mediocre titles. We will only trade if we need something for the store. We retain the right to refuse to do any deal or trade. We buy LP's, 12 inch singles and 45's. We do not buy 78's, CD's or DVD's. 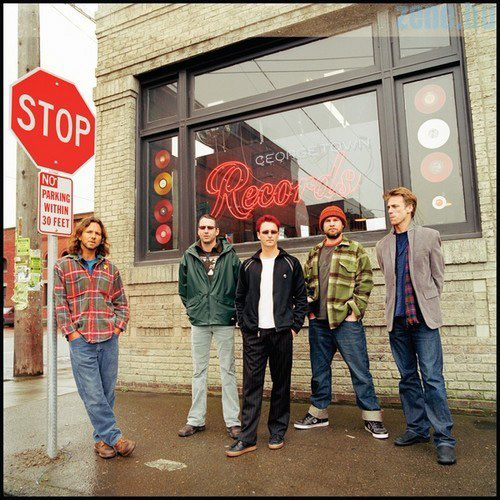 The only CD's we carry are by local musicians and bands. We are always happy to look at your records and we buy depending on the condition and the pressing of the vinyl. Condition is crucial. We will buy if the vinyl is "re-sellable". We have a lot of titles in our 50 cent bins and so we have enough non-sellable stuff like Barbara Streisand, the Doobie Brothers and Andy Williams! The Goodwill is located on Dearborn Street and has a donation drop-off box. Also, if your records were sitting in a box in a damp basement growing mold we will pass on buying them. Amaze us! Bring in the goodies! The old days... Notice anything missing? 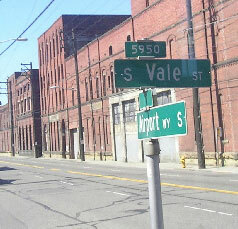 We're located at the corner of South Vale St. and Airport Way South in Seattle's Georgetown neighborhood. 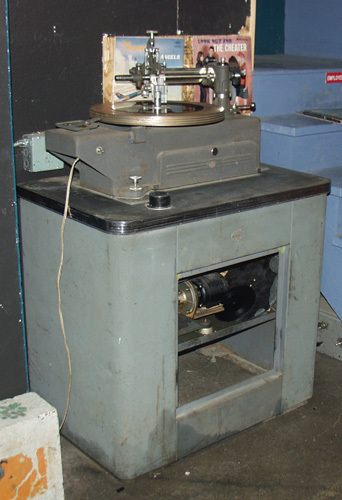 Take a look at our new/old Record Lathe, or Cutter, on display in the store. 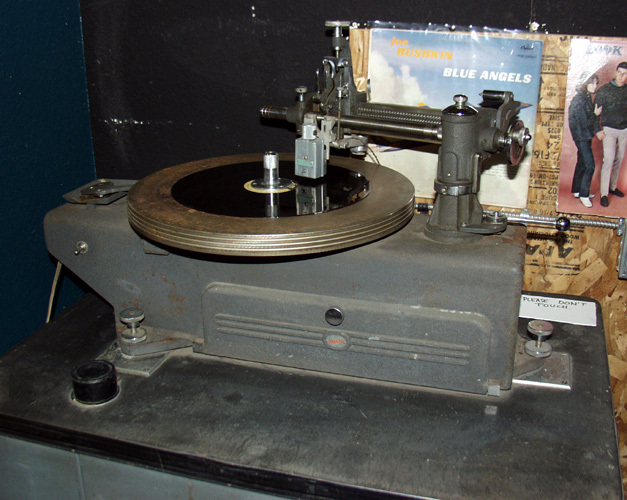 This is how lacquer masters and acetate tests are cut, one of the first steps in producing a vinyl record. It's a beauty from the days when vinyl was the only way to go. Visit our neighbor's sites too! Grant says: "Fun is good!"